It’s been an amazing few months of transformation for me. Perhaps that is why I’m able to express mys elf publicly, where before I would rather stay hidden safely within myself. One of the things that helped me become free was my challenge with the mirror. I think all women are challenged by the mirror. We pick out every imperfection about ourselves and zoom in on it. Instead of looking at ourselves as a whole, including our inner core, we tend to look at our physical flaws, imagined or real and that is all we see. For me it was even deeper. I could not handle looking at myself in the mirror. I knew logically it did not make sense. I have a beautiful figure and a pleasant face. What I could not do was look at my core and essence and see a beautiful person. It was the absence of self-love.. I’d venture to say that there was an element of self-loathing. I read a book that helped me a lot with dealing with the emotional side of things. This was a very difficult and painful process for me, where I’d have to fight my impulses to look at myself the way I always had. I actually had to take the time to give to myself and love myself although it was so uncomfortable. Some of it was really awesome, getting a massage, my nails done, going to a movie with a friend. Some of it was really hard like accepting myself flaws and all and discounting negative beliefs I have always had about myself. Not the warm fuzzy kinds of thoughts that I needed to deal with. There was a dark painful place I could always cover up with a joke or a smile, and avoiding really looking in the mirror. I connected with some awesome people who had “been there and done it” and I took notes. The process took me about 2 months and I know it’s not over yet. But the real me has emerged. A me that won’t fall apart at criticism or conflict, a me that knows that I am a good and beautiful person, a me that knows that I have something good to contribute to the world and a me that I can smile at and say “I like you” when I now look in the mirror. 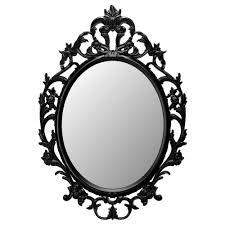 When I look in the mirror I now see a person, beautiful inside and out. The best compliment was a friend who said “Wow, you have a glow on your face… like you are in love.. I think you are in love with yourself.” These words affirmed that I am on the right path. I used to cringe at the self-love and nurture yourself posts. I didn’t recognize back then, that it had so little to do with the external as much as the internal. I thought going to a makeup artist 2 months ago would help me feel better about looking at myself. I know deep down that it would have been a quick fix that no amount of makeup could help. Today I went to a makeup store and was brave enough to buy some makeup because I just want to enhance what I know to be beautiful. You are amazing and beautiful inside and out and I am so happy that you have finally realized that! Keep looking in the mirror — you know you will see not only beautiful woman but confident, humble and intelligent bright person! Im so happy you were able to overcome this struggle!!!!! !